Review by Paul Vnuk Jr. 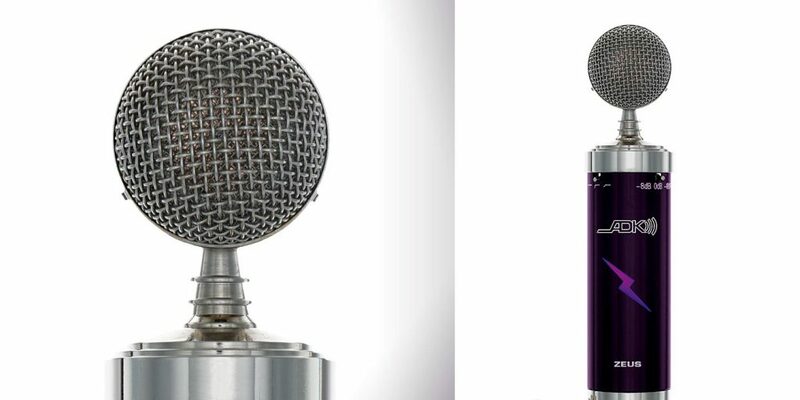 The Ember is the latest addition to Blue’s lineup of condenser microphones. 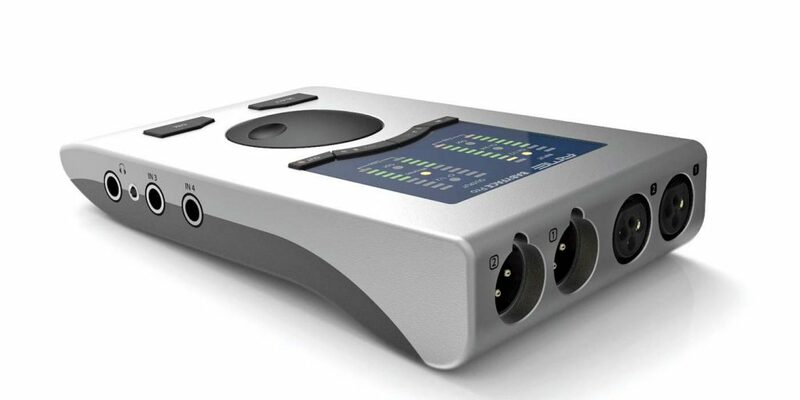 The Ember is designed for podcasting and voiceover work as well as studio recording tasks where it is equally at home on vocals or instruments. 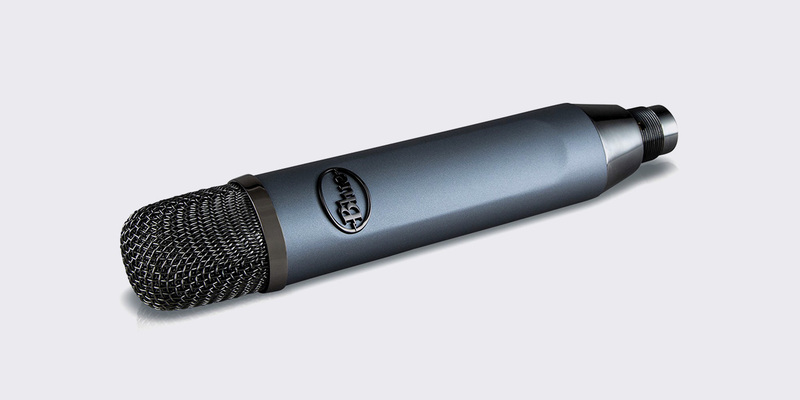 It is Blue’s most affordable non-USB microphone to date and one of its most compact designs. 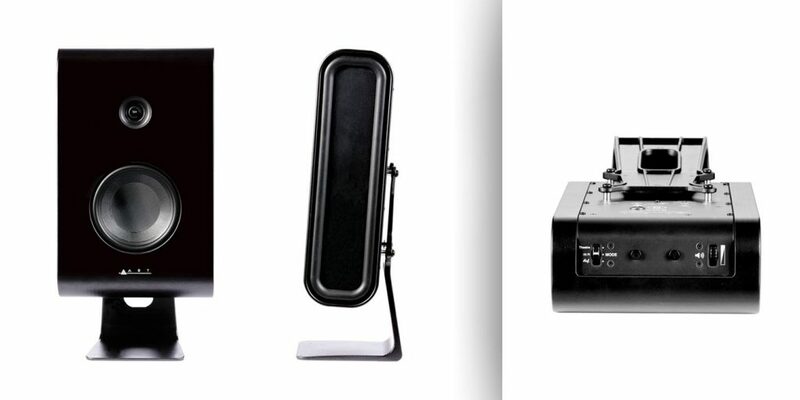 Blue has a reputation for creating some of the most visually unique and sculptural microphones of the past twenty years, like the Dragonfly, Mouse, or more recently the sadly-discontinued Reactor. Many of the current models conform to Blue’s traditional Bottle look as we saw when we reviewed the updated SL versions of the Spark, Bluebird, and Baby Bottle back in our April 2017 issue. Note that if you would like to learn more about the above trio, please check out Recording’s YouTube page for a video of my side-by-side comparison. The Ember breaks the Bottle mold. It’s a side-address condenser microphone housed in what would otherwise appear to be a handheld-style end-address body. The capsule is an 14mm medium-diaphragm design. It’s similar to but not the same as the B1-styled capsule that’s used in Blue’s Hummingbird pencil condenser microphone (reviewed August 2015). The Ember measures 8.62″ tall by 1.51″ at its widest diameter and 1.26″ deep, weighing just under one pound. The mic is well-constructed in a robust metal body finished in metallic blue with a smoky chrome head basket, logo, and end cap. It’s packaged for economy, in a printed display box with a standard screw-on hard mount. The grille features multiple layers of mesh and chrome screening; even with a super bright light shining at it there is no way to see into or through the grille assembly into the capsule. This would lead me to believe that the Ember’s capsule is well-protected from blasts of air, which can plague many small-diaphragm designs. This lets beginners put it to work right away and not have to worry about a windscreen. After some simple tests blowing or breathing onto the mic, I can confirm that it is indeed well-protected. However, it is not entirely immune to plosives or popped Ps; for vocal work up close, a pop filter would be a good added investment. Some specs: the Ember is a 48V phantom powered cardioid condenser mic with a stated frequency response of 38 Hz–20 kHz, a sensitivity of 12 mV/Pa, output impedance of 40Ω, and maximum rated SPL of 132 dB. Looking at the above specs, you can see that the Ember has a controlled low end that cuts off around 38 Hz vs. the typical 20 Hz of most modern condenser mics. This is a good thing, however, as it helps to rein in the thick, pronounced proximity effect that kicks in at about 1 to 2″ from the capsule. This lends the Ember a very full vocal presence, perfect for speech duties like voiceovers and podcast work, for which the Ember is partially designed. This fullness is nicely balanced by the microphone’s open top-end response that gives it great clarity. The mids are subdued and neutral, with no obvious peaks or pushed frequencies. The final trick up the Ember’s sleeve is its neutral, uncolored, and tight off-axis rejection. I first met the Ember at the 2019 NAMM show. First, let me say that a NAMM show is possibly the worst place to try and demo a microphone. Having said that, both Editor Mike Metlay and I were quite impressed with how well the Ember offered both thickness and clear intelligibility on our voices while nicely rejecting much of the ambient floor noise of the trade show. This makes the Ember a very good choice for home/ bedroom podcasting duties where finding a quiet space can be a challenge. It is equally well suited for home based singer-songwriters, who sing and/or play acoustic guitar in non-studio environments where environmental noise can often be problematic. It’s not that the Ember offers complete rejection, but the off-axis response is tight and natural enough so that when speaking, singing, or playing into the mic, the focus will be centered on the source and not the surroundings. This is critical in situations where a home recordist might not be able to treat their room effectively… or at all. Starting with speech, I used the Ember with great success for podcasting and video voiceover duties. On sung vocals, you may need to play with distance to fine-tune the desired amount of proximity effect to fit your track. On some vocalists, the Ember can highlight sibilance, although this is easily tamed with a touch of EQ or any de-esser plug-in. After my great experiences on vocals and spoken word, my second favorite use of the Ember was on acoustic guitar. I found that it captures both the low body resonance and the clear jangle of the strings with ease. Again, positioning is key: the Ember can yield a nice variety of guitar tones based on its closeness and angle with respect to the soundhole. Speaking again to guitar-playing singer/songwriters, a pair of Embers would work very well used simultaneously on voice and guitar. Thanks to their compact size, it is very easy to position a pair of mics with their nulls placed to reject the off-axis sources (the vocal mic in the guitar null and the guitar mic in the vocal null). When it comes to other sources, this is a great all-around utility mic for the home recordist. It worked great on electric guitar cabinet, bass cabinet, and even on snare drum. Speaking of drums: thanks to the neutral off-axis rejection and healthy low fullness, I loved the Ember on toms. I think that Blue could do well with a similarly styled short-body version of the Ember for such tasks (the more compact body aiding in placement). On the flip side, the Ember is better suited for close-in sources rather than room miking or overhead drum tasks. That said, Blue already makes a fine mic for such applications—the Hummingbird! I mentioned earlier that the Ember is Blue’s lowest-cost studio condenser mic to date. This low price point for this quality is simply great news. Despite being made overseas and despite its cost, there is nothing about the Ember that looks, feels, or sounds cheap. It will seem Heaven-sent to beginners who need a mic that will highlight their efforts while minimizing the negative effects of the recording space. For this price, you can’t afford not to check it out.